CIS is committed to excellence in the education and the personal growth of every student. Our students learn in a multicultural community where each person is respected regardless of nationality, race, or religion. Students discover the world, its people, and its cultures through direct experience. Description DKK 333, 466 - 489, 729 per annum, + DKK 4.324 pension (paid by school). Overseas hire allowance 4075 DDK per month for up to 5 years. Description Depends a lot on lifestyle. Many teachers save, but it's difficult to generalise about this. Description There is no separate allowance for accommodation. CIS can assist by paying the deposit upfront in the form of a loan. The loan is repayable monthly with 10% of the deposit being deducted from you salary. Description CIS will pay an economy airfare from the international airport nearest the employee’s country of residence prior to the start of an international hire contract, for the teacher and dependents. CIS will pay an economy airfare to the international airport nearest their home country on final completion of an international hire contract, for the teacher and dependents, provided that the teacher has completed a minimum of two years’ employment with the school. CIS will provide an economy return airfare to internationally hired teachers and their dependents, to their home country on the completion of their second and fourth year of employment. Description Relocation re-imbursements are authorized for lodging, meals, transportation, and flat/house searching expenses on arrival in Denmark. Receipts are necessary for re-imbursements. •	Single teacher: Up to 10,000DKK •	Teaching Couple: Up to 15,000DKK •	Per Child: Up to 4, 000DKK Baggage allowance covers clothing, household effects and educational materials accompanying the teacher. (a)	At start of contract based on approved receipts are reimbursed as follows: •	Single teacher: Up to 12,000DKK •	Teaching Couple: Up to 18.000DKK •	Per child: Up to 5.500DKK (b)	On departure, provided that the teacher has completed a minimum of two years employment with the school and given four (4) months notice, a baggage allowance is payable. (c)	The return baggage allowances (based on receipts) are increased by 10% of the base allowance for each year of continuous service up to a maximum of four years service. 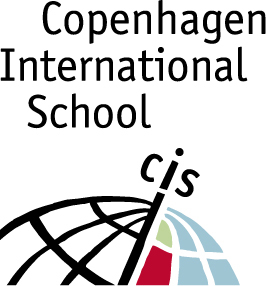 (d)	Should an International Hire teacher stay more than 5 years at CIS and thereby have their employment status changed to Local Hire, baggage allowance will be payable on final departure from Denmark subject to approval by the Director prior to commencement of the 6th year of employment with the school. Description Can be limited depending on qualifications/work experience. This is a temporary (maternity leave cover), full time position starting on the 1st of August 2019 and ending on 1st of May 2020.